Live daringly with the Daisy Fuentes Helena by Daisy Fuentes Eyewear. 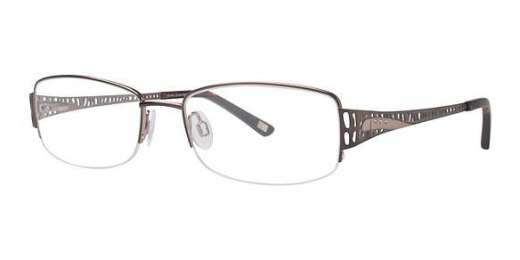 Thanks to a durable metal material, these frames are made to provide lasting style. An oval shape looks great on just about any woman. A semi-rimless design adds bookish style to these gorgeous frames. Available in Black, Brown, and Tan, the Daisy Fuentes Helena makes a beautiful addition to any wardrobe. Includes protective hard case. Shop now.